Slab is built to work well with GSuite. 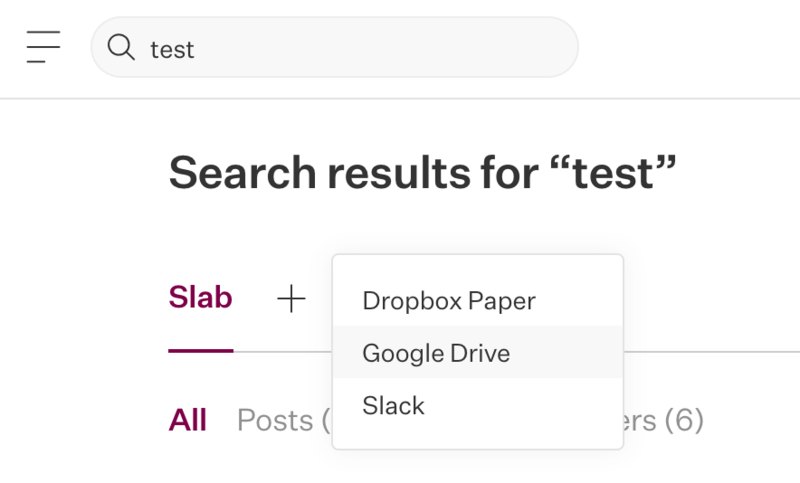 Search across Google Drive from Slab - you'll always find what you're looking for. Sign in with Google and make it easy for your team to join Slab. 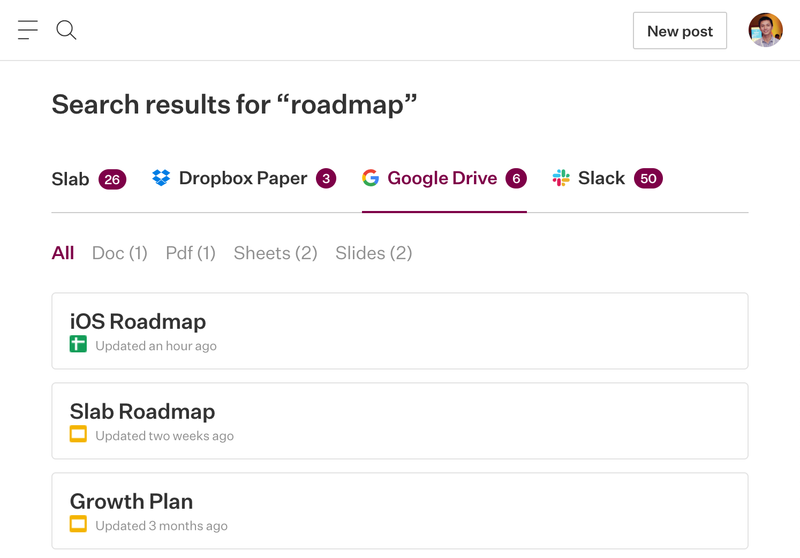 You can search across all your Google Drive content, right from Slab. 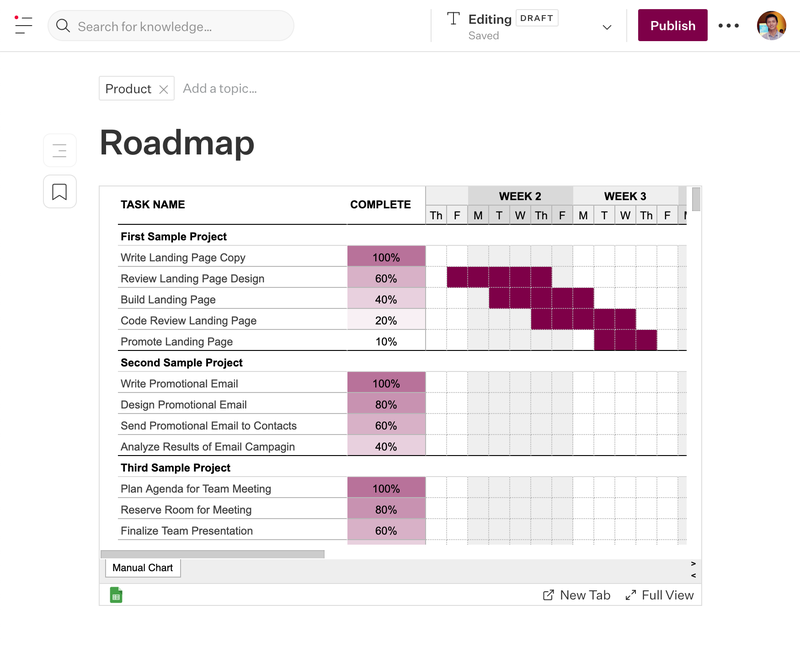 This way you can keep using both tools without worrying about your content being silo'd. Each user can only view content they have access to. You can enable the Google Drive search integration by typing in any search term, and clicking on the + button that appears. Now, you can keep your Google Drive content right alongside your wiki. Simply copy a link to a file, sheet or doc in Google Drive and paste it into Slab to live embed it. During the setup process you will be able to enable Google SSO. 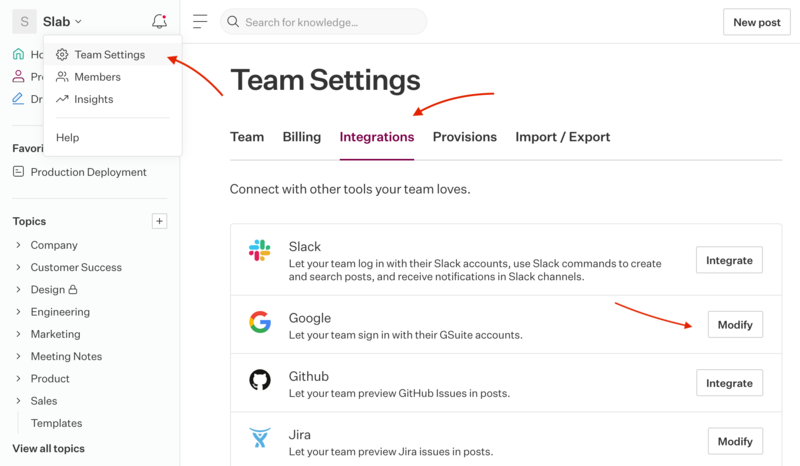 However, if you need to go back and enable it, you can do so by going to the Integrations page in the admin dashboard.